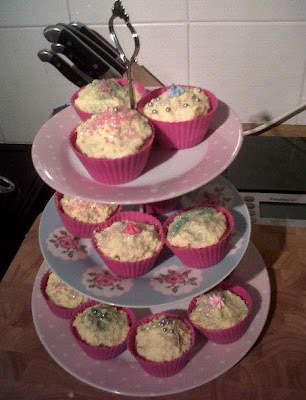 simple cupcakes with buttericing and lots of pretty decorations. really too into making cupcakes lately, like the rest of the world. these are decorated in silver balls, edible glitter and sweets galore! me and my lovely friend meg polished these off not long afterwards.